Expect more at Henry on the Park Apartment Homes. Named Best in Apartment Living, our community is committed to providing you an exceptional urban living experience. Nestled in the charming neighborhood of Roxborough, we offer studio, one, two, three, and four bedroom apartments for rent in Philadelphia, Pennsylvania. With spacious and open floor plans, luxurious upgrades, and a long list of premium features, your new apartment is crafted with style. Morgan Properties completes a 101-point inspection on each home so you can rest easy in your upscale urban escape. Inside your expansive new living space at Henry on the Park Apartment Homes, you will find an open layout complemented by modern design. 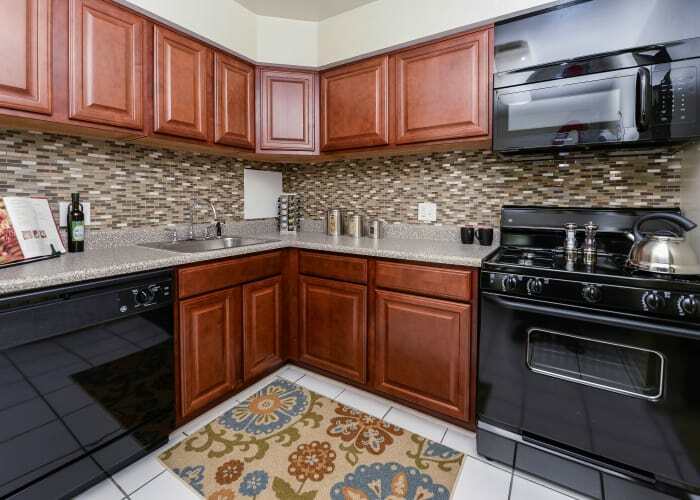 Your new renovated apartment is furnished with a gourmet kitchen featuring custom cabinetry, granite countertops, sleek stainless steel appliances and stylish mosaic tile backsplash. Each home also offers an in-home washer and dryer to make chores more convenient. Upgrade your urban lifestyle at Henry on the Park Apartment Homes.